All BRIDGEWOOD homes currently listed for sale in San Antonio as of 04/24/2019 are shown below. You can change the search criteria at any time by pressing the 'Change Search' button below. "Well maintained two story home with open floor plan, spacious 2 living areas and dining. Island kitchen with eating-breakfast and walk-in Pantry. Beautiful flooring throughout the first level and Second Floor includes a game room. Enjoy the relaxing in the Master Suite complete with seating area and full bath/huge Walking closet. You can Enjoy your evenings at the beautiful backyard with fruit trees like pear tree and peaches tree." "OPEN HOUSE Sat 4/20 1-3 !This spacious 4 bedroom home has lots of upgrades! Gourmet kitchen features double ovens, large granite island/breakfast bar, 42 cabinets, large pantry/utility room. Huge master with oversized closet, three living areas including an upstairs loft/gameroom. Elegant chandelier in Living room conveys. Back yard has an oversized patio slab and severl fruit trees. Highly desired NISD, close to shopping, and highways." "Perfect 2 story home on perhaps BIGGEST lot in entire community. Beautiful updated floors, kitchen island counter, & backsplashes; stainless steel appliances. 3 living spaces in this cul-de-sac gem. All bedrooms upstairs w/HUGE master bedroom. Huge backyard w/extended concrete patio includes hot tub & double door shed. Plenty of backyard left for play, entertaining & garden. 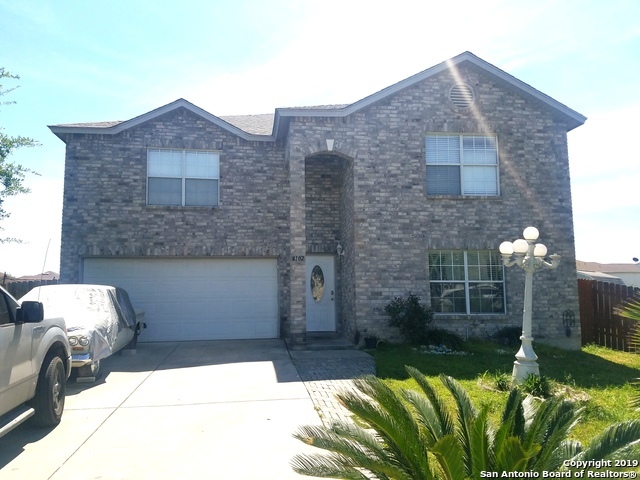 Don't miss chance to call this house your home w/quick access to 1604 & minutes to HEB,shopping,movies,SeaWorld,fireworks,"
"Immaculate 4 bed/2.5 bath two story home. Open kitchen boasts stainless steel appliances, gleaming granite countertops, and refinished cabinetry. Abundant natural light in your spacious first floor living areas with beautiful laminate flooring. Recent carpeting installed w/ upgraded pad throughout upper level and stairs. Private master suite with large walk in closet and stylish vanity. Extended back patio is perfect for entertaining. Quick access to 1604, Alamo Ranch shopping center, and HEB. W"
"Great family home with multiple living spaces! Great backyard for entertaining, 3 bedroom home with well utilized space." "Excellent home ready for a new owner! Walking distance to playground and socccer fields. This home has everything you are looking for and more. Upgraded kitchen, recently painted, NEW carpets 4/2019, new roof. Do not wait as this home will go FAST!"